Fuji stole the show at Photokina this week, announcing their first digital medium format camera, the 50MP mirrorless Fujifilm GFX 50S. The only thing helping to dampen my need to own this camera is the expected price: Fuji has said they're aiming to have the price 'well under $10k for the body, viewfinder and 63mm lens'. That's certainly cheap in medium format terms, but still well out of reach for the vast majority of us. The camera sounds fantastic, though I was a little underwhelmed by the aesthetics. Yes, it looks largely like a scaled up X-T2, but at that larger size and with some of the other detailing it just looks to me like it's lost some of that excellent Fuji aesthetic that most of the X-series cameras have. 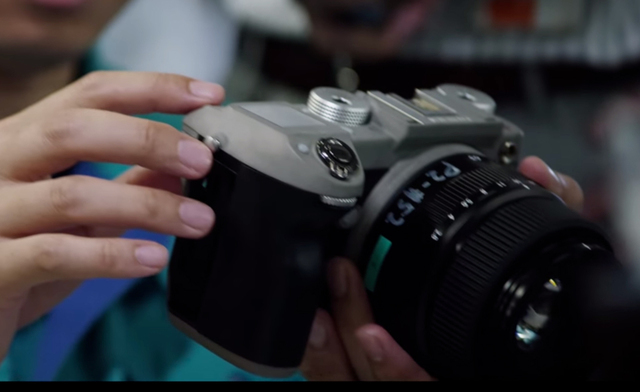 That said… in the intro video on the Fuji site for the camera, there's this brief glimpse of an unfinished prototype and oh, my! With a tidied up finish, a silver body could look awesome.